Many people fall asleep as soon as they go to bed. However, a great number of people have problems with insomnia and regular sleeping. 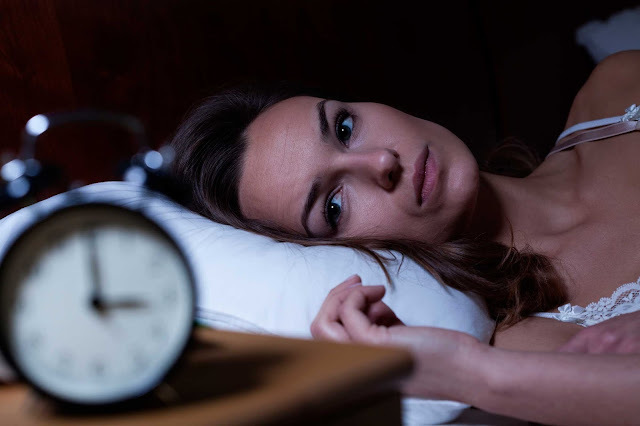 Although the National Sleep Foundation recommends getting seven to nine hours of sleep per night, most people sleep an average of only about six hours. In fact, more than 50 million Americans don’t get enough sleep. Proper brain function, refreshed immune system, and a healthy lifestyle are needed for everyone and it can be delivered only if we get a solid amount of sleep. Other perks that the quality sleeping offers are less heart diseases, glowing skin and regulated blood pressure. Recently, a very simple solution for dealing with the lack of sleep has come to light. There are some specific foods which can bring your sleep into a perfect order. The melatonin contained in cherries is the chemical which regulates the body’s biological clock. A recent study has shown that consuming just a handful of cherries before going to bed, particularly tart cherries, will significantly improve your sleep. In case the cherry season has not yet arrived, cherry juice and frozen cherries will do the same for you as fresh ones. Researchers from the universities of Pennsylvania and Rochester claim that people suffering from constant insomnia need to drink one cup of cherry juice twice a day in order to improve their condition. Falling asleep will be much easier if you consume one glass of milk before going to sleep. This occurs because milk contains the amino acid tryptophan, a predecessor to the brain chemical serotonin. These two combined will bring you the amount of good sleep that your body requires. Another positive thing is that milk is a good calcium provider, and calcium can regulate the melatonin production. Calcium is also productive when it comes to releasing stress and nerve stabilization, especially with the nerve threads found in the brain. Aside from milk, the remaining dairy products like yoghurt and cheese are also recommendable. One research published in the American Journal of Clinical Nutrition states that people who have consumed jasmine rice for dinner had less trouble sleeping than people consuming other types of rice. This is all due to the fact that jasmine rice has an elevated glycemic index, which shall mean that the body processes it very slowly by releasing glucose steadily into the bloodstream. It also stimulates the tryptophan and serotonin production in the blood and in that manner sleep is encouraged. Correspondingly, jasmine rice needs to consumed, so it can significantly improve the sleeping process. Among other things, bananas consist of genuine muscle relaxants, magnesium and potassium which all encourage sleep. This fruit is a good source of vitamin B6 as well, which the body requires in order to produce the sleep-inducing hormone- melatonin. Such carbohydrate banana substances will provide you with a better sleep. Mix one ripe banana with one cup of milk. Blend them together to prepare a yummy late night smoothie. Drink the smoothie it at least one hour before you go to bed. Another product that contains sleep-inducing tryptophan is tuna. One article published in the Annals of the New York Academy of Sciences claims that tuna is rich in vitamin B6, a vitamin necessary so that the body can produce melatonin and serotonin. Serotonin is a neurotransmitter that provides relaxation. Unlike serotonin, melatonin is a hormone that provides sleep. Insomnia can be closely connected to a low level of B6 vitamin, so B6 rich products like tuna are recommended for your diet. Vitamin B6 is crucial for your immune system as well.